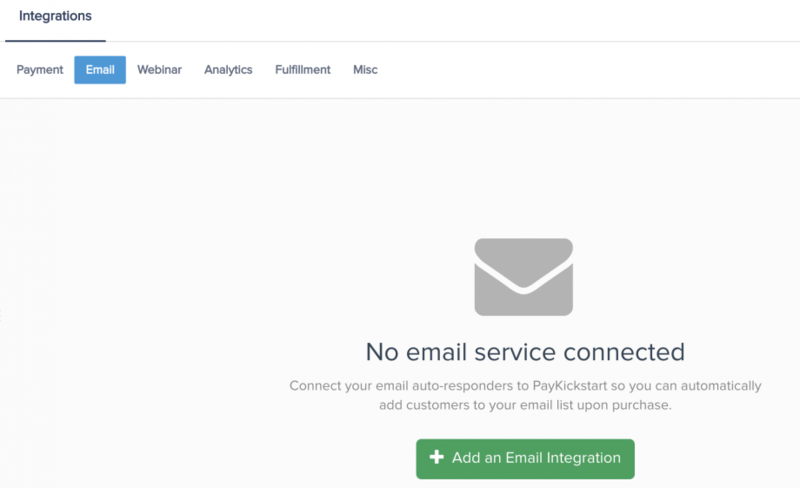 In this tutorial, learn how to integrate with InfusionSoft autoresponder service using PayKickstart’s API integration. Step 4: Choose ‘InfusionSoft’ on the dropdown menu for ‘Email Services Available’, enter a display name and select Connect. You will be directed to Infusionsoft to complete the connection by logging into the desired Infusionsoft account. Step 6: Once you’ve connected, you’ll need to go to ‘Campaigns’ on the left sidebar of your dashboard. Here, you’ll see your campaigns listed. Choose the PRODUCT that you want to integrate Infusionsoft with and select “edit product settings“. Step 9: If you’ve correctly integrated with the main area (steps 1-6 in this tutorial), then you can now select ‘Infusionsoft’ in the Email Integrations. Choose ‘Infusionsoft’ as your email service. Select the Tags you want to add or remove based off action trigger.